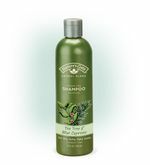 This refreshing and soothing shampoo features Organic Tea Tree Oil and Nettle Extract to comfort dry, itchy scalp. 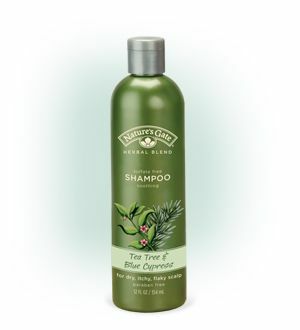 Helps reduce oily build up and maintain a healthy scalp. Organic Peppermint Extract has a cooling effect. Hair is left shiny and more manageable. Our Certified Organic Essences are fresh from the field, locally grown in California on land dedicated to growing Nature’s Gate botanical essences. At the family owned Organic farm, each plant receives individual care, ensuring the highest purity and quality. The farm’s water source is derived from the winter rains and snow pack of the Sierra Nevadas. (Nettle) Leaf Extract*, Rosa Canina (Rosehips) Fruit Extract*, Thymus Vulgaris(Thyme) Leaf Extract*, Panthenol, Soyamidopropalkonium Chloride (Vegetable Derived), Hydrolyzed Wheat Protein, Hydrolyzed Wheat Starch, Isoceteth-20, Polysorbate 80, Disodium EDTA, Polyquaternium-10 Plant Derived), Alcohol*,Glyceryl Undecylenate (Vegetable Derived), Phenoxyethanol, Citric Acid (Vegetable Derived), Fragrance**.